PORTUGAL: Renewable energy developer Enel Green Power has sold its Portuguese subsidiary and assets to investment firm First State Wind Energy Investments for €900 million. Finerge Gestao de Projectos Energeticos, the Portuguese subsidiary of Enel GP, and its 642MW net capacity will be transferred to the new owners. The transaction was part of its five-year strategic plan to "seize opportunities in countries with greater development potential", said Enel Green Power, an affiliate of Italian utility Enel. Enel GP CEO Francesco Venturini said: "There is strong demand for renewable assets, and by selling an operational platform in a mature market we register an early success in delivering against the commitments we made to the market earlier this year." 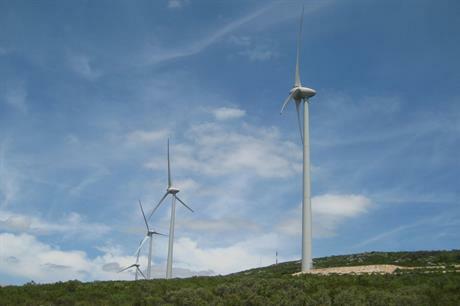 Finerge Gestao de Projectos Energeticos owns 35.96% of shares in Eolicas de Portugal (ENEOP) a consortium with 1.33GW of installed wind capacity in Portugal, according to Enel. The remaining shareholders in ENEOP are in the process of separating the assets from the company, which should leave Finerge with 445MW of wind assets. Other shareholders include manufacturer Enercon and an EDP Renovaveis subsidiary, Neo Energia. Finerge also owns stakes in a total of 418MW (net 197MW) of operational wind projects in Portugal. Enel has been focusing on emerging markets, in particular Africa, using its position in South Africa to expand in to sub-saharan Africa. It has also been scouting out wind and other renewable opportunities in Kenya, Tanzania, Uganda, Ethiopia and Namibia. Besides wind, the company is active in solar, hydro, geothermal and biomass, and targets markets where it can develop more than one renewable source. In North Africa, Enel and consortium partners including Siemens are among investor groups bidding in an 850MW "winner takes all" tender to construct five wind farms in Morocco, for which the outcome is expected to be announced later this year. Enel also has roughly 1GW of wind farms in Latin America primarily in Brazil, Chile and Mexico, and completed its first 50MW wind farm in Uruguay in early September.